Asi Cymbal, the developer behind projects like Bjarke Ingels’ apartment wonderland in Fort Lauderdale, is already dreaming of his next project, but by gum he just can’t decide on a name. So, naturally, Asi came to Curbed Miami for help, and we are coming to you. 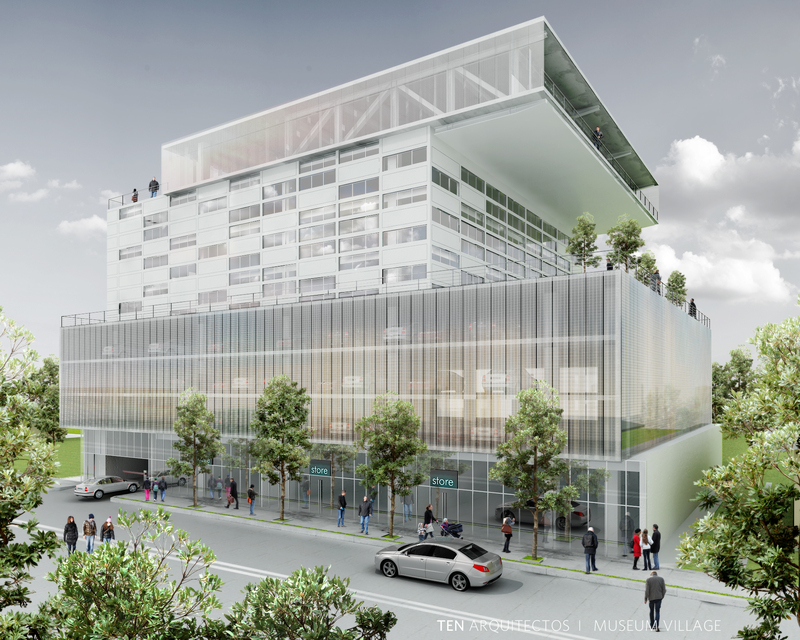 Curbed Miami is holding a contest to name Asi’s new building. The project’s old name, Museum Village, just didn’t work on, like, so many levels. So, Asi needs a new one, and this is where you, dear reader, come in. It’s going to be a mid-rise commercial building designed by Enrique Norten and TEN Arquitectos at 112-130 NE 41 Street in the heart of Miami’s Design District. The ground floor will be luxury retail, with three floors of parking, three floors of offices, and a rooftop restaurant and event space. Submit your ideas for the building’s new name in the comments section or email them to miami@curbed.com. When we’ve received enough submissions, we’ll take them all (Eliminating inappropriate or joke entries. It won’t be called “Boobies Building,” people) and start a poll for voting. Asi will pick the name to grace his new building from the names that receive the top five votes. And there are prizes! The winner will receive, from Asi, a $100 certificate for dinner at his restaurant Gigi, and a table at his nightclub Bardot with a complementary bottle worth up $300. Official Curbed Miami contest rules are here, with the added caveat that to claim the alcohol portion of the prize the winner must be over 21. Under 21: no booze.